With much sadness we announce the passing of our treasured Mom and Grandee, a long-time Kelowna resident. She will be greatly missed by daughter Twyla McPherson and grandsons Troy McPherson (Anne) and Travis McPherson (Kaitlyn); son Glen Erhardt and granddaughter Amanda Erhardt, grandson Brandon (Leah) Erhardt and granddaughter Jessica Erhardt; 5 great grandchildren, Aiden, Quinn, Layla, Arianna and Aubrie McPherson; her treasured partner of 41 years, Adam Weingart and his family; and numerous nieces and nephews. She was predeceased by her parents Ernie and Anne Ferstel, her siblings Earl Ferstel, Joyce Clarke, Wayne Ferstel, and her son-in-law, Bob McPherson. Rita was born in Regina, Saskatchewan and moved to Kelowna with her family at the age of 9. Her lifelong dream of becoming a Registered Nurse was put on hold while she married Len Erhardt and raised their two children. At the age of 38 she went back to school and was in the inaugural class of graduates of the new RN program at OUC. She worked at David Lloyd Jones Seniors Home, and was active in the Nurse’s Union. After retirement, she and Adam spent their summers on numerous camping trips, joining friends and family, and taking several long excursions throughout western Canada and the USA. They also made a trip to Europe in 1979 where they travelled by Euro Rail and explored Germany, France, Italy and several other countries. She was an avid reader, loved sewing and baking, and spending time with family. Rita had a kind heart and a dry sense of humour which endeared her to everyone, including the many healthcare workers who tended to her in her last 2 years while she endured many hospital stays as her health declined. She remained cheerful and optimistic right to the end. 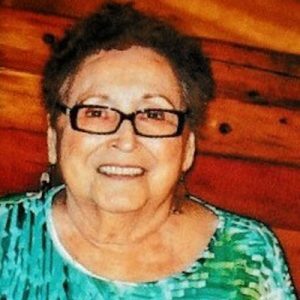 The service for ERHARDT, Rita LaVern (nee Ferstel) is scheduled for Saturday, January 26, 2019 at 10:00 am. Below you will find the map for the service location and the contact information should you have any questions.